Flying Unicorns Kitty of the Month for May....You guessed it. 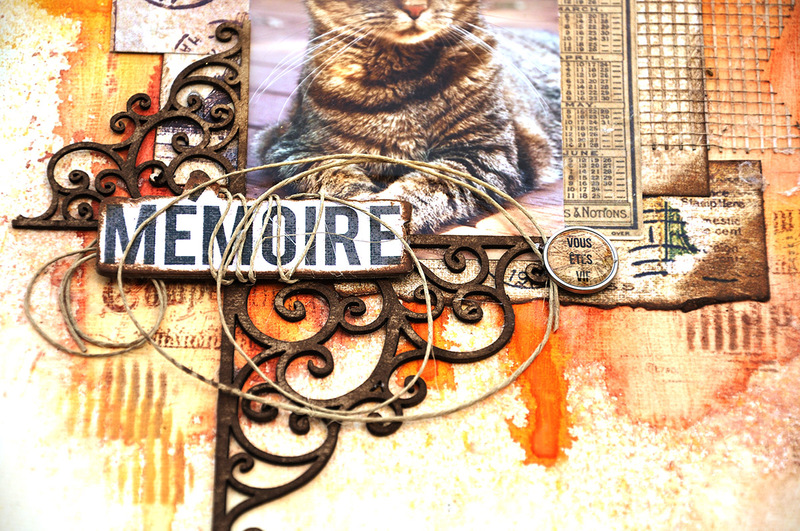 It's purfect in every way and available each month here, well for as long as they last. They sell out quickly. 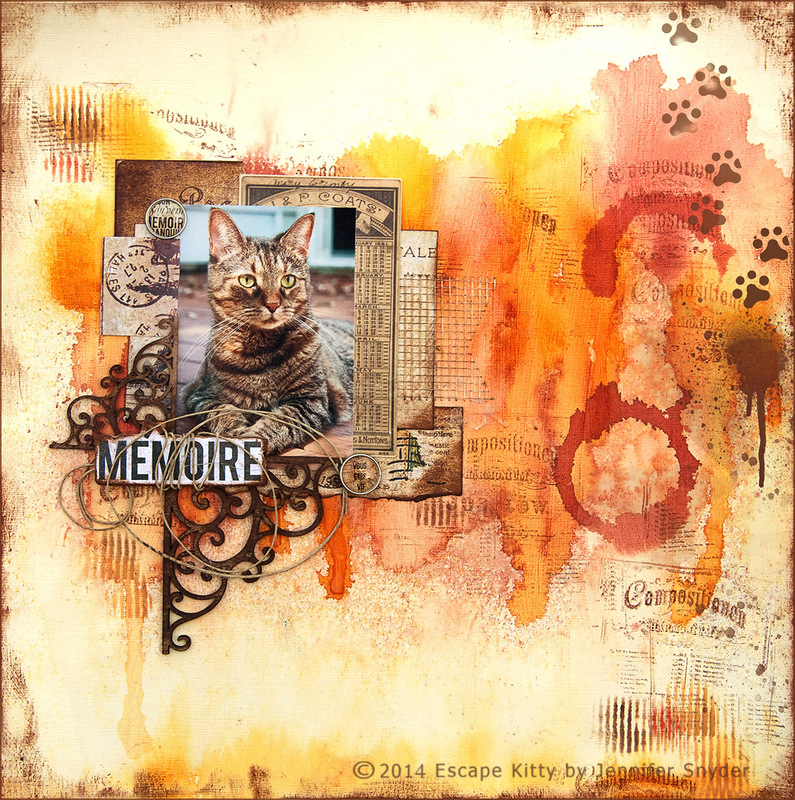 Kitty used a few things to add texture - first the coolest Crafters Workshop Template comes in the Add-on kit. You can see that in the little vertical lines around the page as well as some neat mesh. 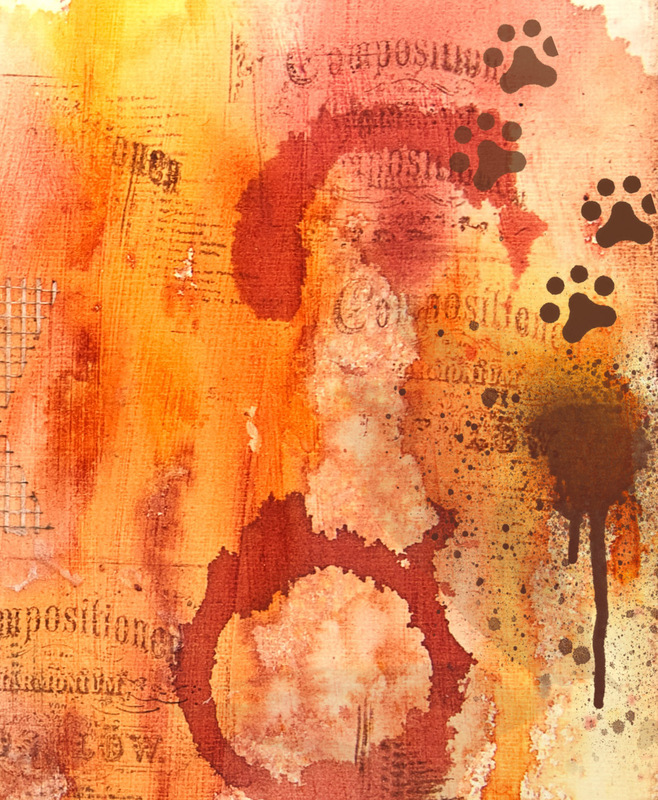 My little darlin did get a little messy with her mists and stamping. 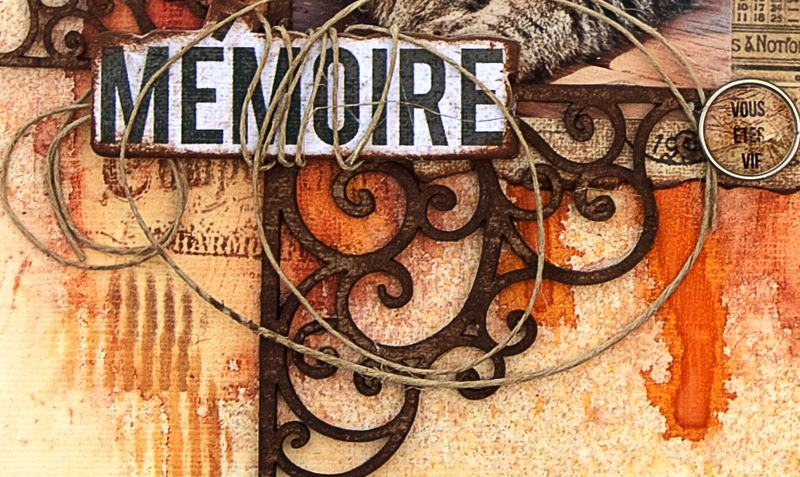 Creative Embellishment Chipboard Photo Corners is seen up close below. Simply inked and done. Hurry and get our kit of the month while they last...but they never last long. Thanks for stopping to visit Escape Kitty. It's been a while since I left a comment but I just love the pics you get of your cat. Makes your layout look extra special. thanks as always for sharing.